If you already own our Lightroom 4 series you only need the upgrade you’ll find HERE! Learn Lightroom 4 and 5 inside and out with this comprehensive collection of video tutorials. With just under 15 hours of instruction, Doug and Lorenza will guide you through this powerful program and cover everything an underwater photographer needs to know to create brilliant images and keep them organized. They will teach you how to bring the best out of every shot, share them with the world on social networks, with slideshows, web galleries and how to publish elegant books directly through Lightroom. This training video is clearly explained and designed in a way that lets you follow along at your own pace, no matter your skill level or where you are. In these in-depth tutorials, all the features, workflows and enhancements are applied to underwater photography with real life examples, but great tips and lessons on topside photography and integration with other programs like Photoshop and Photomatix Pro are also included. These movies are made in both the Lightroom 4 and Lightroom 5 interfaces, and all of the content is applicable to both Lightroom 5 and Lightroom CC. After buying the product, you will receive confirmation of your purchase and a download link to the video tutorials via email. This video embedded PDF is a very large file so please allow ample time when you’re ready for it to download. The PDF can be viewed on a Mac or PC using Adobe Reader or Acrobat 7 and later. 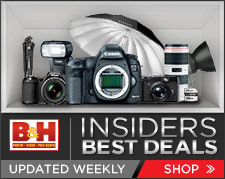 FIND THE HOTTEST GEAR DEALS HERE!